Narahari Dasa – Australia: As for the issue of the JBD use of protocols within ISKCON that are similar to the Zionist protocols being applied in the non devotee world, I left this up to the readers and more importantly the JBD GBC and Gurus to prove me wrong. As far as obtaining a person’s ethnic background is concerned, unless the individual leaders and gurus voluntarily offer their verified personal demographic information, including mother’s maiden name and religion, how will we ever be 100% sure? What we can be sure of, is they will never do this. 1. The official positions they have held or hold. 2. What philosophical orientation they are promoting. 3. What philosophical orientation they are promoting that is clearly deviant or apasiddhantic. 4. What documented evidence is already in the public domain, such as papers, essays, correspondence etc. 7. Their ‘known’ ethnic background. 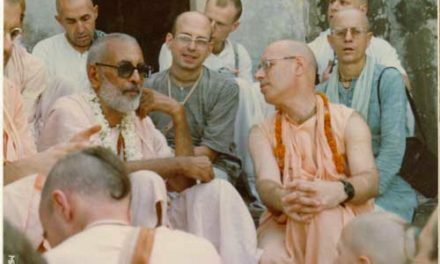 The articles from Mukunda and Achyuta prabhus have given us all a good grasp of the situation and put forward the case that the Jewish Background devotees, who are a minority in ISKCON and a majority in our leadership, have tremendous influence way beyond the degree that their meager numbers can account for. They put forward that this disproportionate degree of influence mimics the disproportionate degree of influence that they have in the secular world. Which not only show; who the main players in ISKCON are, in the areas that he is initially presenting, but also demonstrate the predominance of the JBD’s players in these areas. This coupled with the fact that the ideologies that they are not only promoting, but also incorporating into ISKCON are not in keeping with the ideologies of our Vaisnava tradition as presented by Srila Prabhupada but are also ideas that are being promoted by the secular world in which the Jewish people have great influential power over. In one way it does not matter that the JBD devotees are using ideologies and methodologies that mimic their counterparts in the secular world. What matters is that as a group of devotees are engaging the movement in apasiddhantic ideologies and methodologies that are not supported by our Gaudiya Vaisnava tradition and go against the instructions of our founder Acharya Srila Prabhupada. These devotees would like us to believe that Srila Prabhupada was some kind of modernist and liberalist guru who would eagerly embrace modernity and pluralism. But that is their fabrication and the main reason for the disharmony amongst the devotee population. ISKCON would be entirely different had we not allowed this influence to usurp Srila Prabhupada’s movement. The tenet of our movement is that we are a personalist movement. We are not a monotheistic homogenization as their interfaith strategy would have us been seen as. My example of a vegetarian and a meat eater is the precise analogy to explain the situation that they have placed us in with regards to our religions (“Interfaith or Religious Homogenization?“). They would have us place ourselves at the dinner table with the meat eaters and rationalize that we both go shopping for our food, use plates, use similar recipes to cook our food, eat with our mouths etc… But as I have already said it is not what we have in common that differentiates us, it is how we differ. Even though we have similar characteristics we differ vastly in philosophical orientation. To have a vegetarian movement sitting at a table and sharing meals with meat eaters is not what Srila Prabhupada is presenting. We believe in a personal God and they don’t. It is really quite that simple. But with their homogenization process of Pluralism, Interfaith, Academia and Liberalism they would have us in the illusion that we can all live in perfect peace and harmony, loving and sharing our meals together. This is simply not true. As I have pointed out, this Interfaith Homogenization processes’ real agenda is to create a one world religion, Judaism. Nothing more or nothing less… We will not be sitting at any table with them in a future that is prescribed by this so-called modernistic culture. We will be ‘terminated’ if we insist on believing in a personal God and worshiping Him. Burke Rochford presents a rather simplistic and sociological angle of view on Krishna Consciousness that eventually paints the picture of peace and harmony between each other and other religions, this is especially so in the article by Bhakta das. We are a cultural movement and that means Vaisnava culture, not Dharmic culture, Hindu culture or even the new Hindutva movement culture. To understand our culture and how it interacts with other cultures means you must have an understanding of your nitya dharma. When understanding this we see the world and our place in it in an entirely different way to how it is presented by our present leaders. To really understand and study our Vaisnava tradition one must first grasp the fundamentals of our philosophy. This is only truly gained via its sincere and proper application. No other way is possible. We are not monkeys to be studied by empirical professionals. We are like no other cultural group on this earth. The Vaisnava has always been distinct, but seemingly interacting with others. The facts are that we are a Vaisnava Brahman movement, not a social movement that seeks to harmonize or blend in with other religions. We need to get this straight. We have a distinct philosophical orientation and have been given specific purposes for teaching others the science of God realization. Not social integration or harmonization, which are other terms for homogenization. This social system is given by Srila Prabhupada and our Vaisnava culture, in order to better understand how to implement this system, we need to have a better grasp and faith of our own philosophy and we will not get this by the social homogenization process. The result of the system that the present leadership is promoting will eventually lead to secularism. Where there are distinctions between religion and state. The so-called ISKCON Priestly class will be homogenized by being accepted in our ‘come one come all’ institutions and trained in Diacritical Academic process, and they will have to pay for their own education in our partially government funded ISKCON universities. Similar to what our children are presently doing in our ISKCON schools. Similar to how our leaders and gurus are charging fees/donations for their seminars and workshops. This process has been pointed out by many devotees over many years and our leaders are only becoming more and more determined not to listen. Bhakta das claims that our leaders are being ‘reflective’ but we don’t see any real evidence of this. The only thing that I have understood as to how they are being reflective is that they are reflecting on how they need to tighten up their security system to prosecute devotees who challenge them. As evidenced by the last GBC meetings focusing on their new and improved IKSCON laws and the subsequent prosecutions of Mr. Lanthier and Mahavidya prabhus. Would they dare treat one of their own in this manner? How is it possible that we sit by and let devotees who challenged their corrupt system be punished under their law and then say nothing when they protect their own, who are child abusers and criminals? What does this say about us as a social movement? We as a movement are here to become Krishna Conscious and to help others do the same. The actual process is for us to understand our nitya dharma and not be overly engrossed in naimittika dharma, except when it assists in our Krishna consciousness. If you don’t believe what I have researched and put before you, then do the research yourself and see what you come up with. I am definitely sure that you will find stuff that will disturb you many times more that I have already. I also believe that with many people, no amount of ‘proof’ will ever be good enough. Just like Ray Lanthier has said in his last article, “How Much Proof is Enough?“. 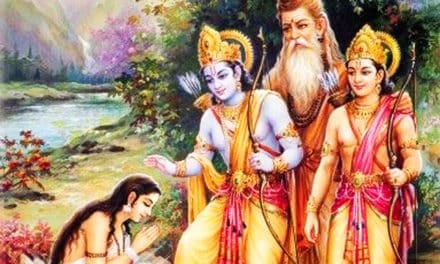 Lord Rama hearing the talk of His people, did not demand proof, he acted in a righteous way and proved to his people His righteousness. 1. 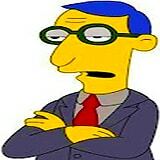 They usually remain silent, which from a Leader, Manager, etc., infers guilt. 2. They silence the person by threats or excommunication. 3. They get their apologists to either speak for them on a public forum and negatively label the devotee, or to look for flaws in their arguments but never provide proof themselves. A classic example of this is Basu Ghosh, who has so obviously changed the subject to a politically charged subject meant to enrage the feminists, and has retracted from the issue and not answered one single question that Achyuta prabhu in his article has requested of him, as an outspoken JBD leader. Nice one Basu Ghosh prabhu! 4. If that fails, they change the topic to divert attention away from the real issues. 6. And when all else fails sometimes they murder them. We are the victims here. We are the ones being cheated. We are the ones who are trying to find answers to why our leaders refuse to listen to us or talk with us and keep on leading our movement into the various ‘isms’ of the modern world. We are the ones that have to supply our names or documented proof and face any reprisals as I have outlined above. The Sampradaya Sun cannot provide protection for us and you would be a fool if you thought that ISKCON Resolve would protect us or an ISKCON Ombudsman. They will not even protect our children with the International Child Protection Office. When Mahavidya valiantly defended our rights to be protected from ISKCON Leadership they banned him from his Temple. They have also banned Ray Lanthier for speaking out and I believe they have banned you too, Rocana prabhu. So where is the justice? Where is the proof they needed to ban you? They write and police their own laws and interpret them any way they deem appropriate. Please tell me what is the difference between their fascist regime and the one that our leaders are using on us? Our leadership’s silence is deafening. Although the issue on the JBD influence in ISKCON has been hotly debated on the Sampradaya Sun, it has never been officially raised in any other ISKCON entity or ISKCON affiliated website. One may draw many conclusions from this. The main being is they do not wish to be held accountable for anything they do or are. In a healthy community these issues can be easily discussed and if they are wrong or inappropriate, then the leaders will be able to deal with them in an open, mature and honest manner. But not our leaders… They have been widely known to be silent on all issues that cast light on their handiwork or motives. They are only swift to respond when their positions or craft is being threatened. They are only constructive when they establish committees, departments and laws that protect them and not us. The apologists who wrote in vehemently to try and squash this issue being raised in ISKCON did not once deny that the majority of devotees in leadership positions were JBD’s. Nor did they deny the policies and programmes were not similar to ones the Jewish community supported in the secular world. Nor did they deny that the power and influence of JBD’s was similar to the Jewish peoples outside of ISKCON. Their only defense was to cry Anti-Semite and Bigot. This is the same as the Israeli Government does to even its own dissenting Jewish people. I can safely say it appears many other devotees need no further proof. The ‘doubting Thomas’ or the apologist will never be satisfied no matter how much proof is given. The Intelligent devotee may require further proof so let them do their own research and decide for themselves. Many of them have already done this and some of those have been writing their realizations on this forum. Only the Sampradaya Sun Editors are demanding this proof. The other point about the Noahide Law and the Manu Samhita is a very good one. The Noahide Law is for the goy or non-believer in the God of the Jews. The Noahide Law is not for Jews who are ‘above’ the Old Testament as they believe that they come in the line of Abraham. Abraham had his own set of Laws (Mosaic Law) for his followers as given by his God. 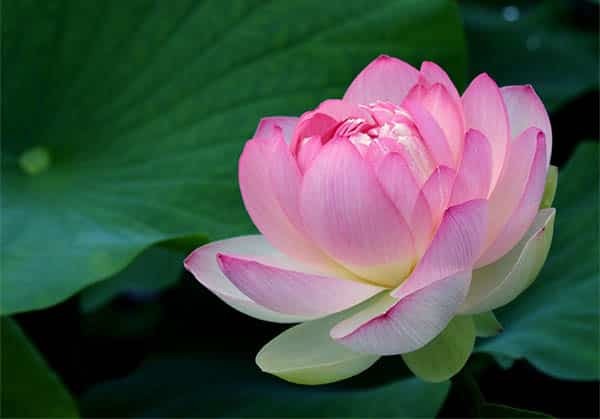 The Laws of Manu are the laws of Dharma and are for all followers of Dharma and make no distinction between the impersonalist and the personalist. The Jewish people who follow the Torah and the Vaisnavas who follow the Vaisnava teachings both ‘act’ above the laws of the average man and by following their respective laws, they automatically abide by the lesser laws of the common man. Both the Vaisnava and the Jew believe that their God has given them a special purpose or perspective on mundane life and spirituality. It is not that every country has the choice to use the Manu Samhita or the Noahide Laws. The Vaisnava’s do not even have influential power within ISKCON what to speak about any country? But the Zionist Jews do. This is I believe beyond doubt. There is enough evidence already that is public knowledge to not have to explain or prove this further. Every would be President of the US has to go before the Jewish Lobby and swear their allegiance to the State of Israel that they will protect the State of Israel at all costs before they can become elected President. This is common knowledge and no big secret. The US Government have accepted the Noahide Laws on the say so of the Lubavitch movement. I don’t believe that the Vaisnava’s would be offered such a privilege. It would be nice if we were but childish to think that at this point in our history we will ever get such a chance or say. This is not about a choice between the law of Manu and the Noahide Law. There is no choice. This is happening now. To debate this is a non issue in ISKCON and a diversion. The Noahide Laws are being accepted but not as yet implemented. But the ‘push’ and actuality to have them implemented is generations away from our push to have the Laws of Manu implemented. Most devotees don’t even know about them. One last point that I believe needs addressing is our disproportionate fear and reluctance to mention or discuss the concept of a ‘conspiracy’ within ISKCON. It is about time we begin to discuss these issues in a mature manner. The disproportionate fear of discussing ‘conspiracy’ does not lend itself to forensic or Brahminical inquiry. To believe that it can happen in business and between countries but can never happen in ISKCON is childish. To draw any inference to the Jewish Zionist cause as having anything to do with the “evil empire that has arisen in ISKCON” is a great taboo and strongly put down. However we can term any group or individual, like the ritvik proponents, as ‘infiltrators’ and the ‘evil empire’ without sanction and with wild abandon, but should we mention JBD and conspiracy, this evokes an unrealistic and disproportionate defensive response. Maybe if the term ‘infiltrator’ was used in relationship to the Jewish people we would be better able to listen or be sympathetic? But I don’t believe so and this does not lend itself to intelligent discussion. The main reason the rank and file devotees do not want to discuss these topics, apart from the fear of being kicked out, is that they prefer to remain in ignorance. No one wants to admit that Srila Prabhupada is no longer the captain of this ship and prefer to remain in the illusion of denial. If I had a dollar for every time I heard a devotee say ‘ignorance is bliss’ I would be as rich as a Rothschild! But it behooves me to say if Srila Prabhupada is not in control of ISKCON then who is? Who are these people that now control ISKCON? If they are not promoting Srila Prabhupada’s purpose then what ‘is’ their real purpose? To infer that the only commonality amongst our leadership is greed and ambition or naivety is unreasonable given the absolute systematic manner in which the movement has changed from what Srila Prabhupada has instructed us to develop to almost a mere shadow of its former self. A movement that has transmogrified into a classic example of a cheating religion that has sold out to Modernity, Pluralism, Liberalism, Academia and Interfaith and is now more or less a Private Corporate Business that is being controlled by authoritarian CEO’s and salaried middle management employees. The above issues are what we, as a movement, need to address. The amount of proof that the Sun Editors demand in order for this issue to be recognized as being a ‘causative factor’ is, I believe, unrealistic. PreviousWill Noahide Law be Implemented?